July 21, 2015, 9:58 AM · In an effort to promote the coverage of live violin performance, Violinist.com each week presents links to reviews of notable concerts and recitals around the world. Martin Chalifour performed the Beethoven with the Los Angeles Philharmonic. Los Angeles Times: "Chalifour played the concerto almost as one of the orchestra, not as a flamboyant soloist needing to stamp every instance with ego. He brought a sophisticated sense of musical logic. Again, the intended balance between solo and orchestra cannot be fully known, but Chalifour avoided the notion that a classical concerto represented the individual against the masses, something that is prevalent in Beethoven performance." 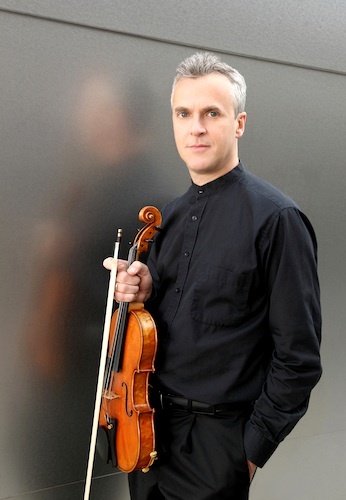 Nikolaj Znaider performed and conducted Mozart’s Violin Concerto No. 3 with the Chicago Symphony Orchestra. Chicago Classical Review: "One could give the violinist credit for not forcing a novel interpretation onto an uncomplicated work, but surely there is more music in this warhorse than he let on." Andrés Cárdenes performed Bruch's Violin Concerto No. 1 with the Buzzards Bay Musicfest. WickedLocal.com: "Cárdenes, whose impressive background as the Pittsburgh Symphony concertmaster for over two decades meant that he had nothing to prove, played the work for the inner secrets it holds. He wrapped himself around the work, as he wrapped himself around his violin, bringing out the brooding drama of the first movement and the unbridled energy of the last. During the exquisite adagio, surely there were eyes in the audience in addition to mine that were moistened by the sweet, aching sound he drew out of his Petrus Guarnerius instrument." Alexandru Tomescu performed Loussier’s Violin Concerto No. 2 with the iPalpiti Orchestral Ensemble of International Laureates. Orange County Register: "Romanian violinist Alexandru Tomescu gave the solo part a tidy, elegant and graceful account that might have benefited from a little more heat at times." Carolina von Alvensleben performed Mozart's Violin Concerto No. 3 with the Miami Summer Music Festival Orchestra. South Florida Classical Review: "Carolina von Alvensleben was a fine Mozart stylist in the first movement of the Violin Concerto No. 3, playing with silvery tone, vigor and grace. Interestingly she chose Tibor Varga’s cadenza which adds a touch of Paganini pyrotechnics to Mozart’s thematic phrases."